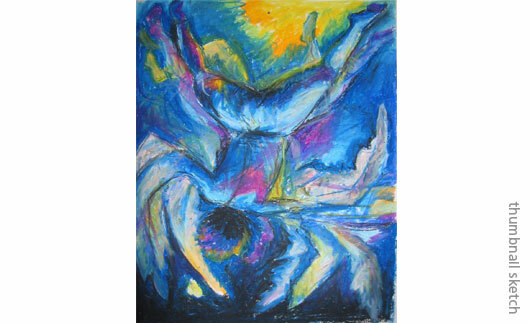 Icarus - Watercolor pastels, oil pastels, wax crayons and link. 22" x 30"
Boston University class project. 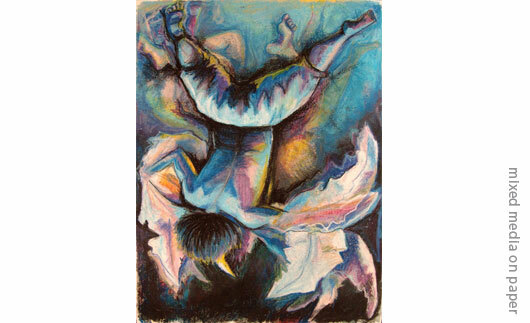 Influenced by Cirque de Soleil's Varekai. Boston University class project. Study of light, color and texture. 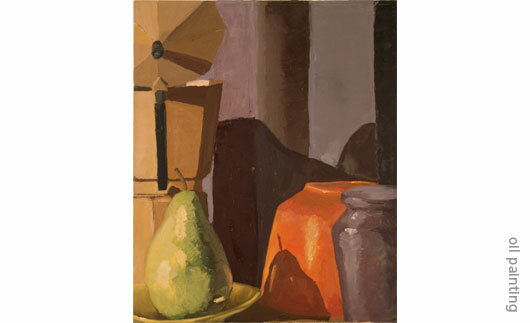 Still Life with Pear - Oil on canvas. 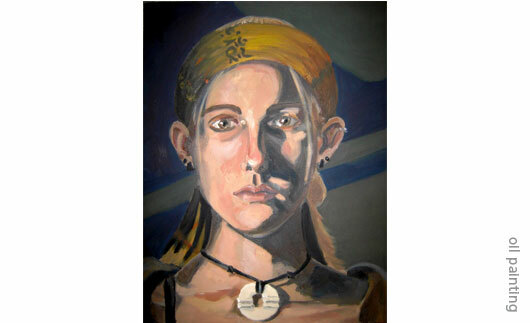 16" x 20"
Self-Portrait - Oil on canvas. 16" x 20"
Boston University class project. Study of light, color and form by studying reflection in a mirror. Boston University class project. 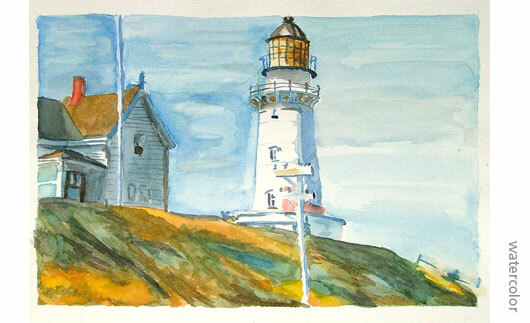 Copy of an Edward Hopper watercolor similar to his 1927 Lighthouse Hill. Lighthouse - Watercolor. 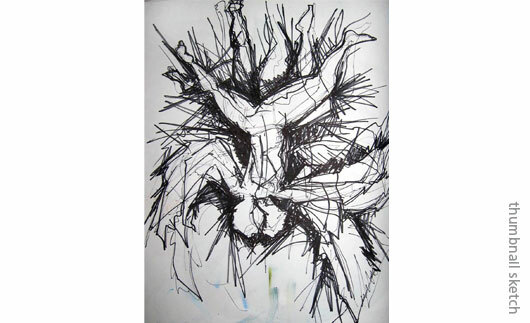 9.5" x 12"